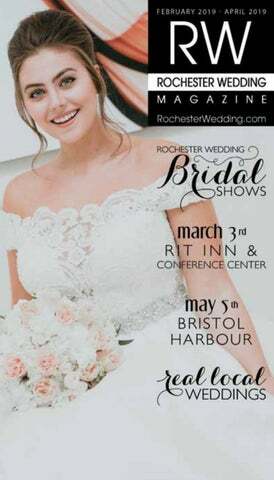 Rochester Wedding Magazine is published four times a year by Wheeler Communications, LLC. 1066 Gravel Rd. Suite 100 Webster, NY 14580. No part of this publication may be reproduced without written consent of the publishers. © 2018 Rochester Wedding Magazine Inc.
60,000 sq. ft. of Art, floor to ceiling. Events planners, chefs, & service staff on site. Complete planning from beginning to end. 100 year old barn featuring original wood floors, vaulted ceiling, chandeliers, loft & tavern. Situated on a lush green lawn. Stately Greek revival house & garden. Bride room, scenic location, fountain, outdoor porch, gardens, lake, free parking, gazebo, 2 bars & stage. Lake views on the shores of Seneca Lake, hotel accommodations, spa & salon, competitive pricing, outstanding service & trained staff. Unique winery views with access to vineyard for pictures. We handle the details so you can relax & enjoy your big day. Indoor and outdoor facilities. Photos on golf course. Patio and fire pits. Outdoor ceremony locations including gazebo. Custom set up and planning with wedding coordinator. Newly renovated bridal suite, 18 hole Robert Trent Jones Golf Course, on-site restaurant & cafe, 31 room lake view hotel & the best view in the Finger Lakes from our reception room & outdoor ceremony sites. Family owned and operated for over three generations. High quality food and beverage at an affordable price. Piece of history. large bar and cocktail area. Tier dining room. Waterfront, 2 bars, tables & chairs provided. Bathroom facilities, commercial grade kitchen & ice machine. Parking lot. Dumpster use. Orchard & vineyard on the grounds. Chantelle Marie Lake House vacation rental. 2000 parking space lot. Centrally located. Newly remodeled location. Historical site. 3 venues with full A/V. Work directly with valet, DJ, catered services, decorators, bands & photographers. 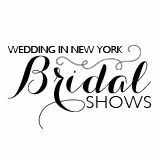 Newly remodeled venue with chic bridal suites. Ballrooms are beautifully designed with versatility to compliment and enhance any style. Unique 5-star cuisine. Our unique barn style provides a rustic yet expansive setting. Our location provides not only beautiful hilltop views but also more comfortable temperatures for those hot summer weddings. A pond located in front of a woodlot offers a beautiful backdrop for pictures. We have many locations for an onsite ceremony. Multiple indoor and outdoor shower, ceremony and reception spaces. Overnight accommodations. Overlooking scenic Oatka Creek and Historic Downtown LeRoy. Grand beautiful ballroom in the heart of downtown Rochester. We only have one event per day and we can customize any package for you. All food is cooked on-site. Historical building re-purposed into a Hilton garden Inn! Brand new guestrooms and ballroom space for events up to 100 guests. Elegant setting for intimate receptions, showers, rehearsal dinners & more! 15,000 square feet of customizable event space including an outdoor pavilion. Updated patio with gas fireplaces. Wrap around balcony surrounding our grand ballroom. Event coordinator works w/ you from time of booking till after your event. Beautiful building w/ 2 separate rooms to hold a small party as well as a large reception. Back off the road for more privacy plus plenty of parking. Handicap accessible. Plenty of outdoor room for an outdoor wedding ceremony. Outdoor ceremonies with gazebo, pond and deck. Only one event at a time. Incredible views of the historic golf course, pictures available on course, outdoor patio ceremony location, fire pit and bridal suite. Offering a gazebo for outdoor ceremonies or photos, private area for your cocktail hour, spacious ballrooms w/ specialty lighting, newly remodeled guest rooms & exceptional menu selections. Rooftop ceremony over looking the city of Rochester. Ballroom with floor to ceiling windows overlooking Genesee River. Complimentary parking. Many guest amenities for overnight stays. Complimentary bridal suite with champagne. Reception overlooking the golf course. Gazebo for ceremony with a scenic view. Newly renovated clubhouse. Onsite catering. Waterfront ceremony location. Full service venue. Onsite ceremony and reception coordination. Bridal suite. Valet parking. Custom menus. Multiple garden locations for ceremony with new pergola. New tent site with converted stone aviary for cocktails, patio & complete floor in the rounded end 60â&#x20AC;&#x2122; X 100â&#x20AC;&#x2122; tent. Overlooking Seneca Lake in the heart of the Finger Lakes. Offering indoor options. Country setting within walking distance to Village of Geneseo. Tent with hard surface floor - all tables, chairs & dance floor included. The outside patio is available upon the weather. Featuring a wedding garden and gazebo overlooking the golf course. Newly renovated traditional chapel with a spacious banquet hall attached providing the opportunity to have your ceremony & reception in the same location. Outdoor ceremony area. New 42 ft bar. Photos on golf course. 100% custom menus. Spa Elan packages avaliable for wedding parties. Golf course on site, wedding brunch, rehearsal dinner menu, and bridal shower menu.